There were many smiles around Old Trafford come the final whistle of Manchester United’s latest victory. After the season that they have experienced so far three consecutive wins feels like ecstasy. None of the smiles though shone brighter than that of Sir Alex Ferguson. It takes some doing to out-smile Ole Gunnar Solskjaer but Sir Alex managed it here. This was a type of performance, free of any shackles, that he was so used to overseeing. Now it is the turn of his protégé; whether it be for the next five months or longer, Solskjaer’s reign as interim head coach of United could not have started much better. If taking over from Ferguson was seen as the impossible job, then following on from Jose Mourinho seems to be one of the easiest. 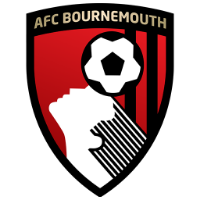 United played with such a mixture of freedom and adventure against Bournemouth that they were one-goal up within five minutes, two up just after half an hour, went in at half-time at three goals to one and ultimately won 4-1. It is the increased confidence that United’s attackers are showing that is so apparent. The liberation of Paul Pogba, Marcus Rashford and Anthony Martial had every home supporter off their seat throughout the first half, when time and time again this season they have been slumped, arms folded and on the verge of nodding off. It was clear from this display that football played properly, with poise, pace, purpose and confidence can be quite fun, and everyone at United were reminded of that. Getting an old friend back as head coach was always going to be a no-lose situation for Ed Woodward and the United board. Nevertheless, Solskjaer has shown his ability to lighten up an increasingly dark and dreary atmosphere with a smile and an encouraging arm. That is now three games, three wins and 12 goals. But beyond the points are performances of courage exhibited by players who have had their names tarnished recently. This result has led to United now considering Champions League qualification for next season an achievable mission rather than a lost cause. Although the gap to fourth is still eight points, United are the team with the urgency and momentum. 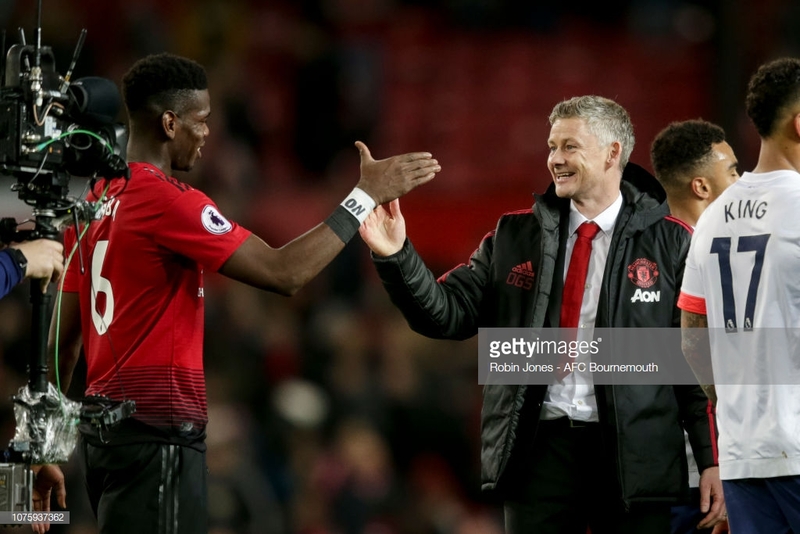 Solskjaer admitted post-match that there is still a huge amount to do in the second half of the season but his approach only makes it more reachable. What Solskjaer has initially brought to United – apart from a general boost for all of the squad members and employees of the club – is priceless experience as a highly efficient goalscoring striker. More so than anything else, United’s attackers needed to realign their shooting boots and reignite their imagination when leading the line. From initial inspections, he has managed to harmonise a forward line that have looked disjointed and nervous when in the oppositions penalty area. Rashford in particular exhibited his renewed ambition here; mesmerising Diego Rico on the right side with his quick feet before crossing for Pogba to score the hosts’ first, sliding in at the back post to see home United’s third or generally running and moving forward with a carefree attitude regarding the expression of the man on the touchline. Seeing Rashford display such courage has been reserved for only England performances of late, but rather than being pushed out wide or brought on as a second-half substitute, he was there, front and centre, leading the United line to aplomb and causing Bournemouth countless problems. Jesse Lingard, who always wants to express himself, now finds his other teammates joining him. Martial likewise appeared energised. He drifted and drove inside from the right, forcing Bournemouth into a flat back five with the overlapping Luke Shaw also providing attacking options. There have been too many occasions where the Frenchman has ducked during testing times in his United career but he took this game by the scruff of the neck. His dinked ball from the right was measured and accurate for Rashford to convert United’s third goal. However, it is at the feet of Pogba where the most amount of questioning has been placed, at least against Bournemouth his feet did the talking. When he can bend the game to his own will in this fashion it highlights the reasons why United were so desperate to bring him back to the club. Scoring twice, for the second successive home game – one swept in at the back post and another headed in following a well-elevated jump – was only the beginning of Pogba’s display. In some ways his performance could be seen as yet further sniggering behind the back of United’s former coach, surely the truth lies somewhere in the middle and both were no longer doing either any good. Pogba has the opportunity, not least the talent, to be the heart of this revived United side. The characters of many of the players has been questioned recently, but this performance showed what they are capable of with a little encouragement. Even Romelu Lukaku was shiny following a galvanising from Solskjaer; he came off the substitutes bench with little under 20 minutes to play and struck United’s fourth at once. Although he was offside and the strike should not have counted, this again showed that good fortune favours the brave. Perfect, however, United’s performance was not. Another chance for a clean sheet went begging in the second minute of first-half stoppage time when a clipped cross from David Brooks was headed past David De Gea by Nathan Ake. It was a momentary lapse of concentration and only a blip on United’s victorious end to 2018. Eric Bailly also got himself sent off with a late two-footed lunge on Ryan Fraser. It must have been bad to see the lenient referee Lee Mason reaching for a red card, the first time he has and will do so this calendar year. United’s fans could not have expected to be celebrating the new year in such fashion when they were soul searching and scratching their heads after Anfield embarrassment only 16 days ago. Now their post-match debrief is much more fun and excitable, similar to proceedings on the pitch. Solskjaer, his smile and his confidence, is working wonders at resurrecting what appeared to be a dying United team.